Stress is a universal experience — an unavoidable part of being human — but too much-unmanaged stress can take a heavy toll on health and wellbeing. Stress levels are rising in recent years, and an effective method of stress management is becoming a must for most people. Being bright, health-conscious people, many of us are learning more about stress and how to effectively manage it. However, certain misconceptions about stress and stress management still persist, and these misconceptions tend to negatively impact many people’s ability to relieve the stress in their lives. The following are some of the most common — and most damaging — stress-related misconceptions I hear. Many, if not most, of the people I talk to about stress, tend to think that stress management is tantamount to cutting out everything in life that brings stress. Yes, this is an important aspect of stress management, but no, this is not the entire goal. The truth is that it would be neither possible nor desirable to eliminate all stress from one’s life. For one thing, we need at least some stress in our lives in order to optimally function; we need a challenge in order to grow. Also, there is a subtype of the stressor (known as eustress) that is actually beneficial for your health and vitality, provided you do not experience excessive doses of it. Finally, it would not be possible to cut out all stress, and you would likely create more stress for yourself if you tried! Why This Misconception Is Damaging: If you believe that cutting out all stress is the goal, you will miss out of the benefits of other forms of stress management. You may also create higher levels of stress for yourself in working toward a goal that is impossible to reach. 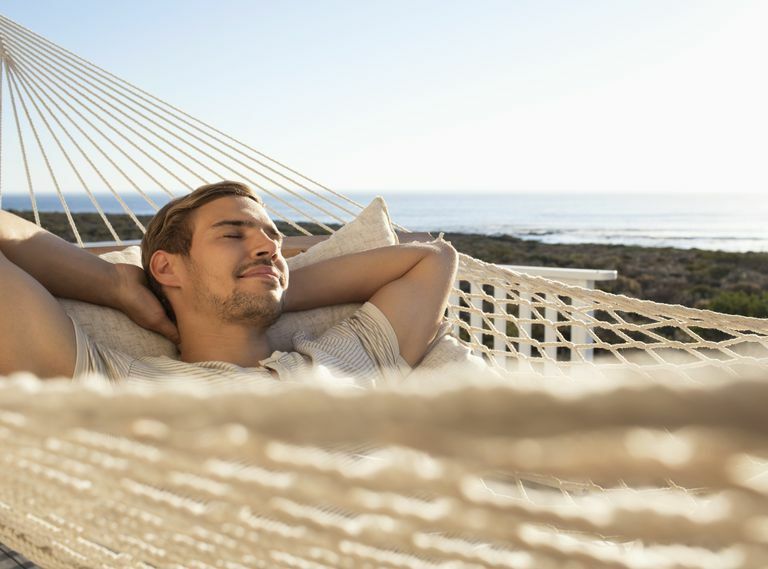 A Better Approach: It is healthier to accept that stress is a part of life, and then work to eliminate what you can and develop strategies to manage the stressors you cannot eliminate from your life. Many people believe that the right attitude is the only difference between a stressed person and a serene one. There is a fair number of books and experts who support this idea. Don’t get me wrong—a shift in attitude can make a very significant difference in stress levels. However, too much stress does take a toll, even if it is experienced as “challenging” rather than “threatening," even if you approach it head-on and overcome it, even if you have the best attitude in the world and experience the situation as a positive one. If your situation requires a response and it takes any effort to maintain emotional equilibrium (if you are aware that you are facing a challenge), the stress does still take a toll, though not necessarily to the same degree. Why This Misconception Is Damaging: People may mistakenly believe that if they just had a better attitude, none of the challenging experiences they face could make an impact, therefore, they aren’t working hard enough to stay positive; this belief can lead to negative self-assessment. They might also fail to recognize and manage the effects of stress they are under (until the damage is already done) if they don’t experience themselves as “stressed. A Better Approach: Still work on maintaining a positive attitude and thinking about your life in a strengths-based way. But remember that even too much of the good-for-you kind of stress can take a physical toll, and take extra care of your body when you are facing challenges in life—even if you don’t “feel” stressed. Stress management techniques like exercise, meditation, and positive thinking can minimize your experience of stress and create resilience toward stress as well. However, no technique can completely eliminate the stress you may experience in life. A Better Approach: Bear in mind that all stress cannot be eliminated, even with the best techniques — and this is okay. (Remember what we were talking about earlier, about how you need some stress in your life to remain healthy and happy?) Keep in mind that stress management is about maintaining equilibrium — handling what comes along and getting to a place where you are doing what needs to be done and at peace with it. Stressors may temporarily throw you off-balance a bit, but stress relief techniques are there to help you get back to a place of feeling calm and balanced again; the key thing to remember is that it sometimes requires a little work to get back in balance after a stressor hits, particularly if it’s something big like the end of a relationship, the loss of a job, a major illness, or a death in the family. Some stressors are inevitable, and stress management techniques cannot prevent this, but they can help us to better cope. An important final note is that stress management techniques can be wonderfully effective, but they need to be practiced in order to be helpful — you cannot take a class in meditation, for example, and then reap the rewards for the rest of your life without actually practicing meditation regularly. Likewise is true with exercise, visualizations, breathing exercises, and other effective techniques. They can bring resilience toward stress, but they do not entirely block out all negative effects of stress. (Still, these stress management techniques bring enough benefits that it really is worth practicing them as regularly as you are able to.) The right techniques can help, but they do not stop all stress, and they need to be practiced regularly.